Firmly grounded in the day-to-day reality of being a mother, Buddhism for Mothers discusses Buddhist teachings as applied to the everyday challenges of bringing up children. 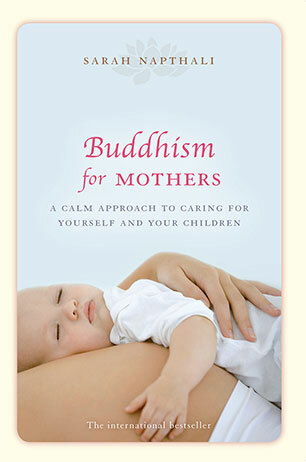 Become a calmer and happier mother with Buddhism for Mothers. Parenthood can be a time of great inner turmoil for a woman yet parenting books invariably focus on nurturing children rather than the mothers who struggle to raise them. This book is different. It is a book for mothers. Buddhism for Mothers explores the potential to be with your children in the all-important present moment; to gain the most joy out of being with them. How can this be done calmly and with a minimum of anger, worry and negative thinking? How can mothers negotiate the changed conditions of their relationships with partners, family and even with friends? Using Buddhist practices, Sarah Napthali offers ways of coping with the day-to-day challenges of motherhood. Ways that also allow space for the deeper reflections about who we are and what makes us happy. By acknowledging the sorrows as well as the joys of mothering Buddhism for Mothers can help you shift your perspective so that your mind actually helps you through your day rather than dragging you down. This is Buddhism at its most accessible, applied to the daily realities of ordinary parents. Even if exploring Buddhism at this busy stage of your life is not where you thought you'd be, it's well worthwhile reading this book. It can make a difference. Sarah Napthali is a mother of two young boys who tries to apply Buddhist teachings in her daily life. Her working life has ranged from teaching English as a Second Language and corporate training, to human rights activism and interpreting. Since becoming a mother she has focussed on writing, initially for companies and later for individuals wanting to record their memoirs. With seven memoirs completed, she is the author of Buddhism for Mothers (Allen + Unwin, 2003) which has been translated into nine languages to date, and Buddhism for Mothers with Lingering Questions (Allen + Unwin, 2007). Since the children started school, Sarah is very pleased to report that she manages to meditate daily.